Hi there! Welcome to the Altenew Build-a-Flower: Sweet Violet Release Blog Hop and Giveaway. You must have arrived from the lovely Virginia Lu's blog. 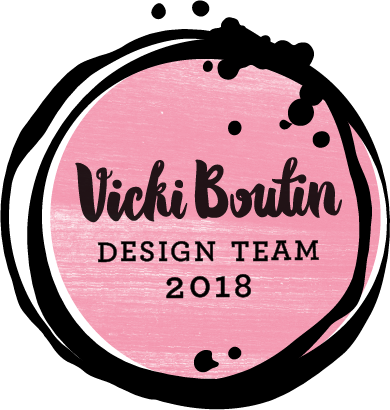 Today i am so excited to be joining this line up of amazing designers who have created awesome projects with the new Altenew BAF: Sweet Violet. I love the simplicity of the shape, and how easy it can be clustered together to create a fuller look on your project. 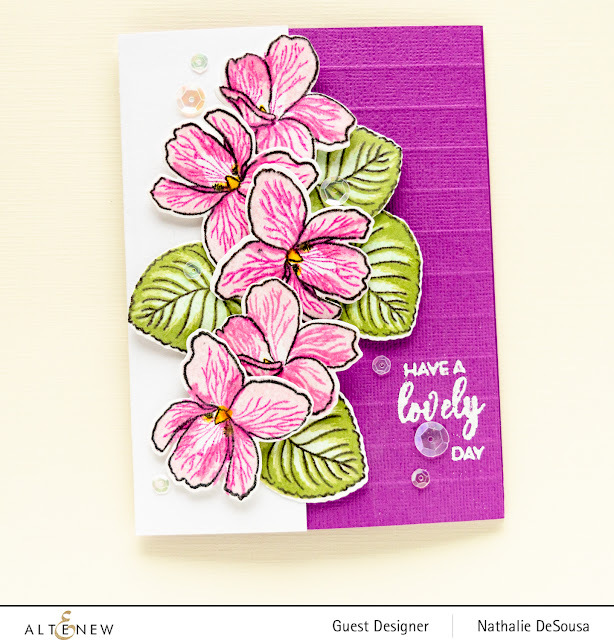 For my first project, i chose to create a card using a vertical cascade of Sweet Violets. 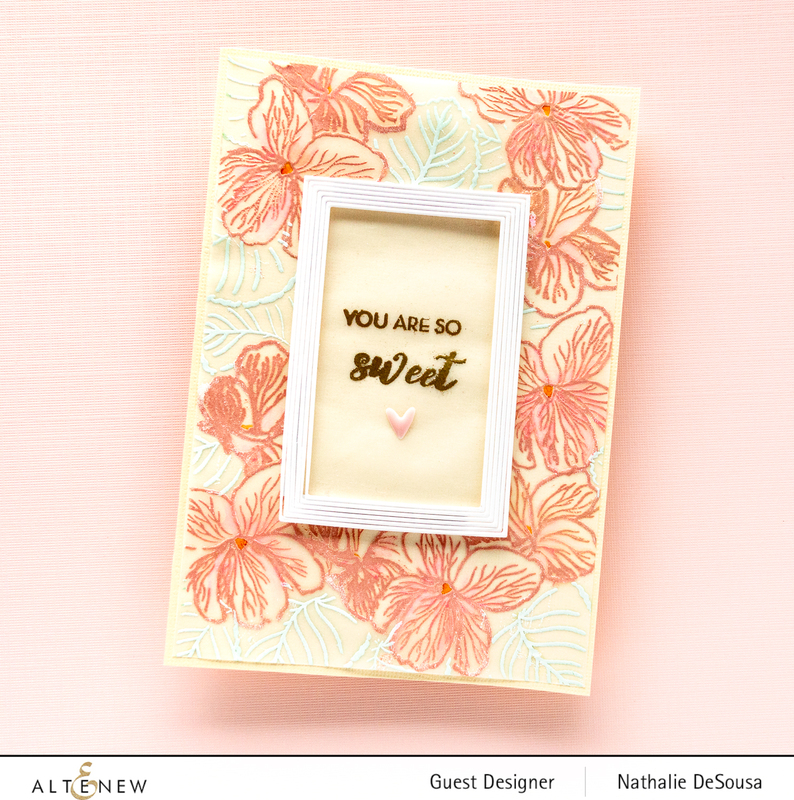 I used the colors in the Altenew Rose Petal and Pocketful of Sunshine mini cube set to create the stamped images of the flowers. For the leaves i decided to mix two sets of inks - Green Meadows and Green Field mini cube sets- so that they have a softer look and combine nicely with the flowers. 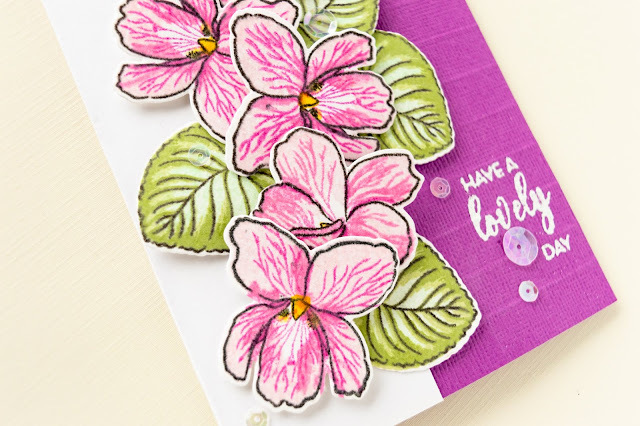 To create the card, first i used a base of purple texture cardstock, and scored it to create a bit more interest to the cover, then created a small flap of white smooth cardstock, and attached the flowers in a cascade on the flap. The sentiment was embossed using white embossing powder and the sentiments in the BAF: Sweet Violet stamp set. For my next project, i wanted to take advantage of the shape of the flowers to cluster them on a card. This time i chose to create a card filled with embossed images of the flower. I started with masking the center rectangle of the cards with tape, and then created two masks of each of the shapes using post it notes. I stamped the images using color pigment inks, and the masks so that it looks like a large grouping of flowers. The flowers were embossed with Rose Gold powder while the leaves have green pigment under the white embossing powder. The center I used the sentiments in the BAF:Sweet Violet stamp set to gold embossed the sentiment in the center of the card, then added a few white cardstock frames (created with the Altenew Fine Frames)around the center of the card. 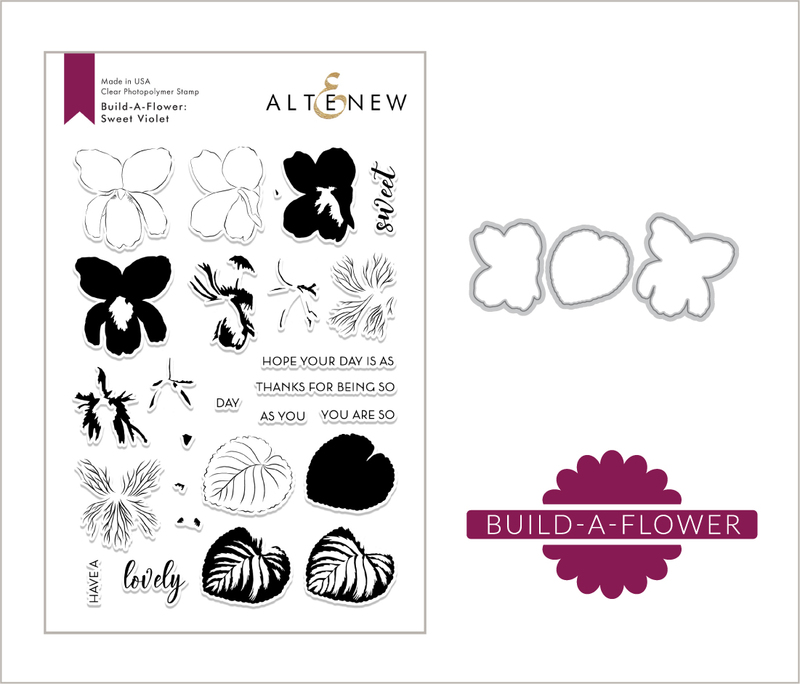 The Altenew Markers set E were used to add some details to the flowers ( on the back of the vellum); then glued the vellum layer to a cream cardstock base. LOVE how this turned out. 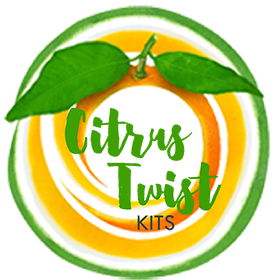 Lastly, i chose to create a layout for my Family album (Citrus Twist Kits Life Crafted Album) using the BAF: Sweet Violet stamp and Die set. This time i kept the flowers white so i chose to skip adding color to the flower, and instead used the veining stamps to add the details. 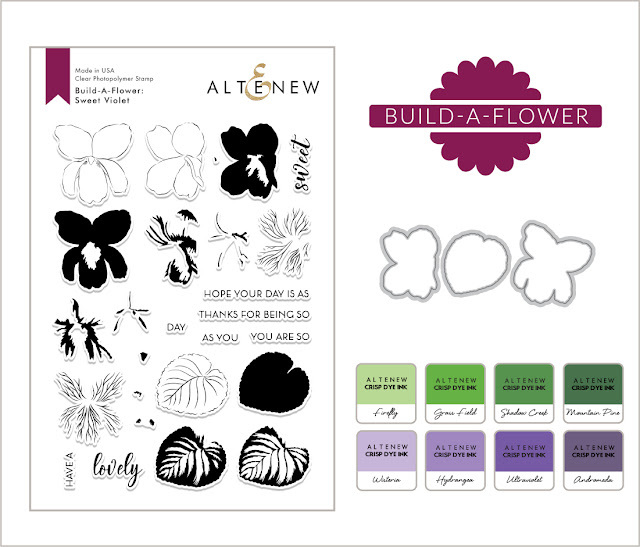 To celebrate this release,Altenew is giving away a $30 gift certificate to 6 lucky winners! Please leave a comment on the Altenew Card Blog and/or Altenew Scrapbook Blog for a chance to win. 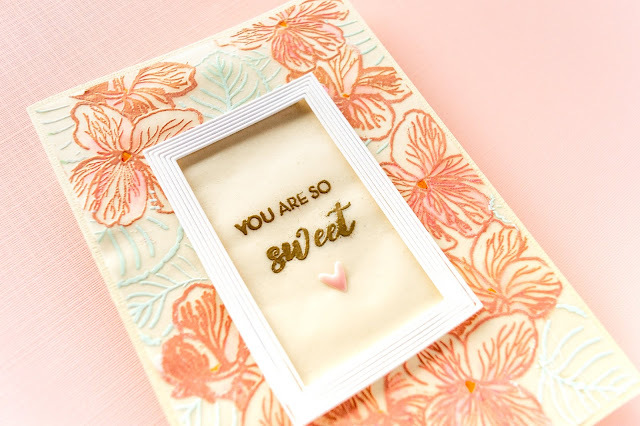 Three winners will be announced on the Card Blog, and the otherthree winners will be announced on the Scrapbook Blog on 4/9/2019. comments left on each designer’s blog on the blog hop list below. 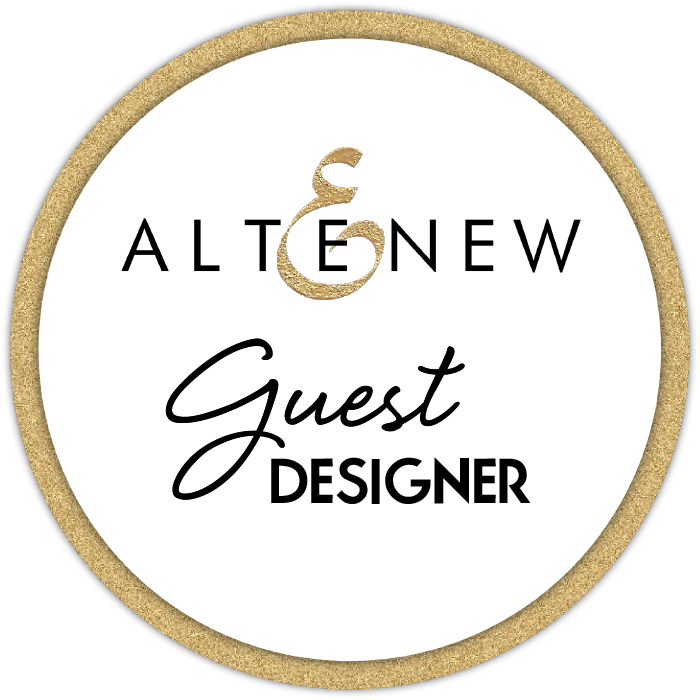 All winners will be announced on the Altenew blogs on 4/9/2019. I am so thankful for your visit, and always humbled by your comments. If you have questions do not hesitate to leave them in the comments. Wow! 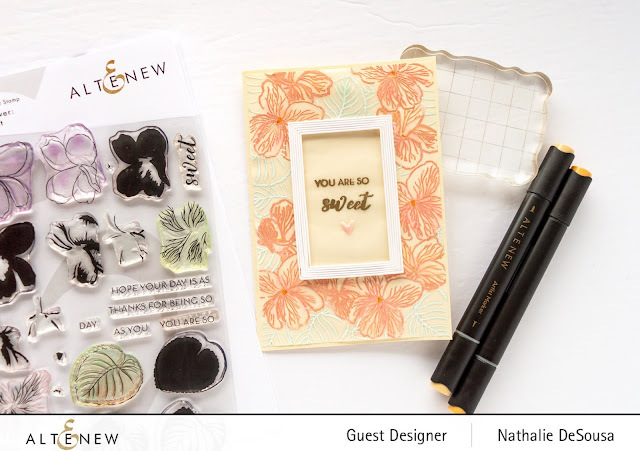 You really did go for it on this blog hop! These are truly amazing projects! The green under the white sure turned out awesome! Oh the white flowers on your layout are so adorable! The white flowers are so pretty. What a great idea. Such beautiful projects!! 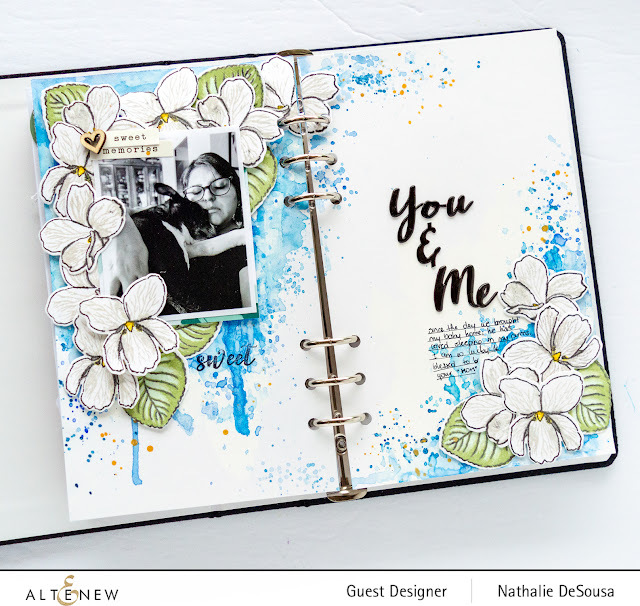 Love those white flowers in your album! They are all beautiful but I really love the rose gold violets. So soft and lovey. The pink flowers with the purple background are my favorite. Fabulous creations! Love your pink violets!! So pretty! You gave us a wealth of beauty. The cards are gorgeous and the layout if wonderful. What a wonderful variety of inspiration! Thank you! How creative you are! I loved all three projects and how each one was unique. Thanks for sharing your talent. Thanks for sharing these wonderful projects. 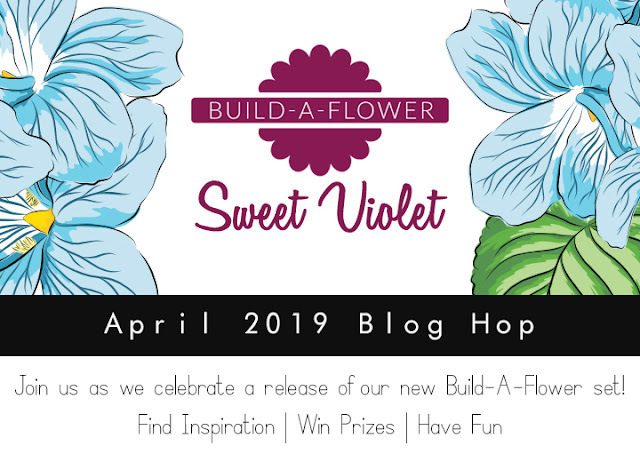 a great showcase of the Sweet Violet!! OMG! I love all of them but your pages are super special! Just gorgeous colors and designs! Wow!! That second project is my fav!!! Am wanting this set after seeing so many ways to use it as you have! Each of your designs are beautiful! Violets are one of my favorite flowers! Blue, white and green variation of card is so beautiful. I pin it. Thank you for idea. Everything is gorgeous! I love how you have the green ink under the white embossing powder....such a neat idea. And using the viening and no color on the layout is another great idea I will try. I love your first card the most.... WOW! Wow, gorgeous cards and pretty page! Love the cascade of pink violets and the scored background for additional interest. The embossed Violets frame is gorgeous, love the color combo. Oh man, I love how you did this one set of stamps in 3 different styles! Holy moly amazing! Amazing projects. I really like the album. Beautiful creations with this lovely set! Loving the newest B-A-F set! Your cards and layout are gorgeous! Thanks for sharing your process video. 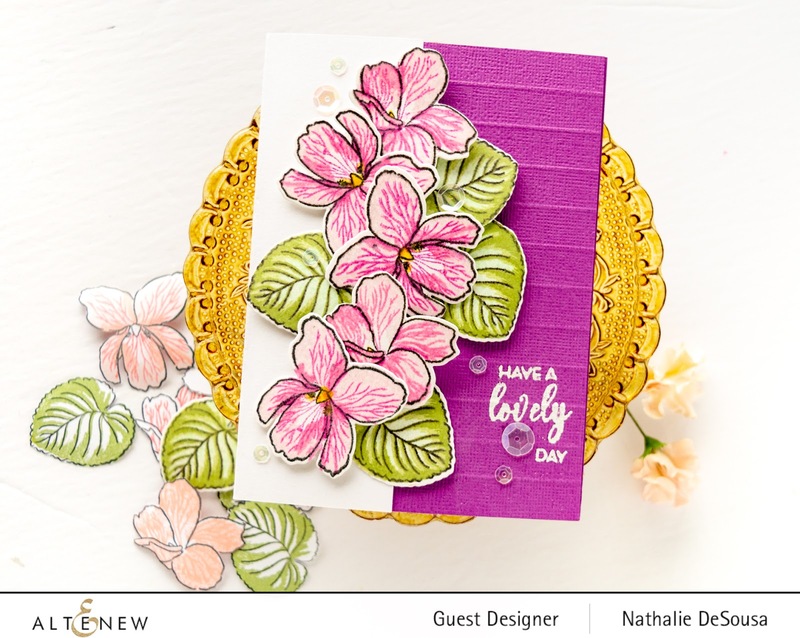 Fabulous cards and spread Nathalie, the new BAF set is a must have, thanks for the inspiration and the video. I love the frame card, an innovative way to use this set. 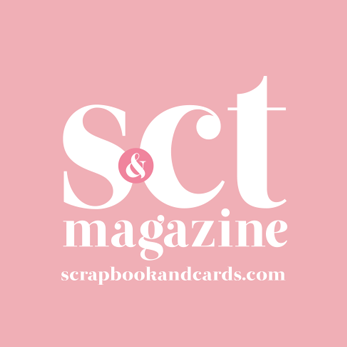 Fabulous cards and page AND video! Violets are one of my favorite flowers and I love how you captured their sweet look. This is another beautiful flower! I love the fine veins on the flowers which make them look so realistic. Thanks for the wonderful inspiration! 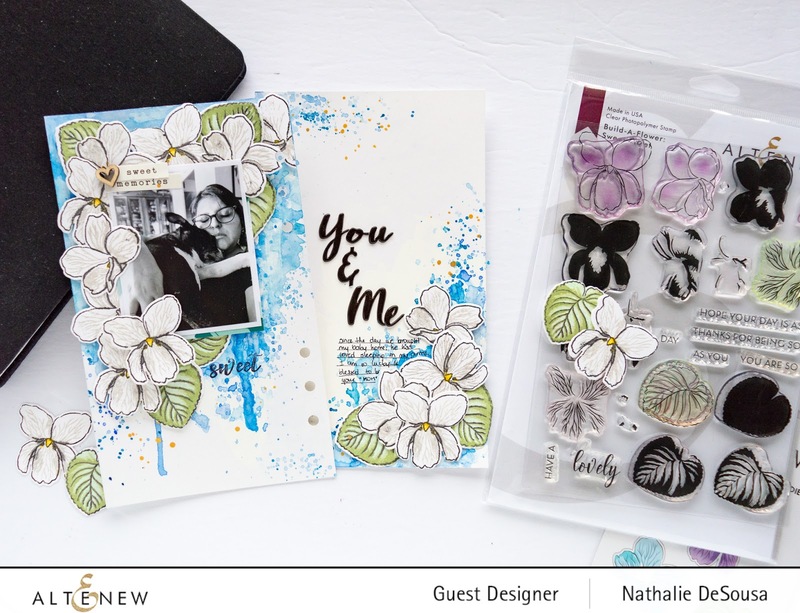 What a great inspiration, fabulous cards and I love your layout! Your violets are really popping next to that scored violet cardstock on your 1st card! Love it! And the embossing on your second card, with the cool window! I am drooling over your album layout, and leaving the violets white was a unique and creative choice! Thanks for all the inspiration! such different looks. each one very pretty! These are all lovely but my favorite is your second card. Love the design and colors. So pretty! Beautiful designs! I love your color choices. Thanks for sharing! I’m blown away!! Very lovely cards and project! LOVE the detailed veins in the petails & leaves, LOVE the contrast against the purple scoring, ADORE the dimension of your background around the sentiment panel, LOVE the pretty white flowers framing the photo, contrasting perfectly against blue ... ALL are FABULOUS designs! Great projects. I especially love the cards. The pink violets are amazing! Thanks for the inspiration. Both the cards are gorgeous! I really love your layouts. They are fantastic! Gorgeous projects - I love the detail on these violets and the different ways you used them. They look wonderful. Beautiful projects. Your colors and unique styles are gorgeous. Lovely and sweet and great choice of colors. These are all gorgeous, but I really like that soft coloring on that second card. It is just stunning. So many beautiful projects!! This set is very versatile. I like what you did with it. Incredible!! 3 fabulous creations! so much inspiration! Thanks for sharing!